If you never learned to ride a bicycle but would like to learn, there are classes available for you, regardless of your age. In fact, you can find free adult cycling classes in many parts of the United States. Judging from the popularity of these adult cycling classes, you are not the only person who wants to learn to ride a bicycle and enjoy exploring on two wheels. Why Should You Learn to Ride a Bicycle? There are many reasons to learn to ride a bicycle. Cycling is a great way to get in shape and stay that way. It is also a good way to see the world. Many cities, including Montreal, Paris, and Washington, DC, have bike sharing stations in several locations, so you can see the city without going through the hassle of bringing your own bicycle. 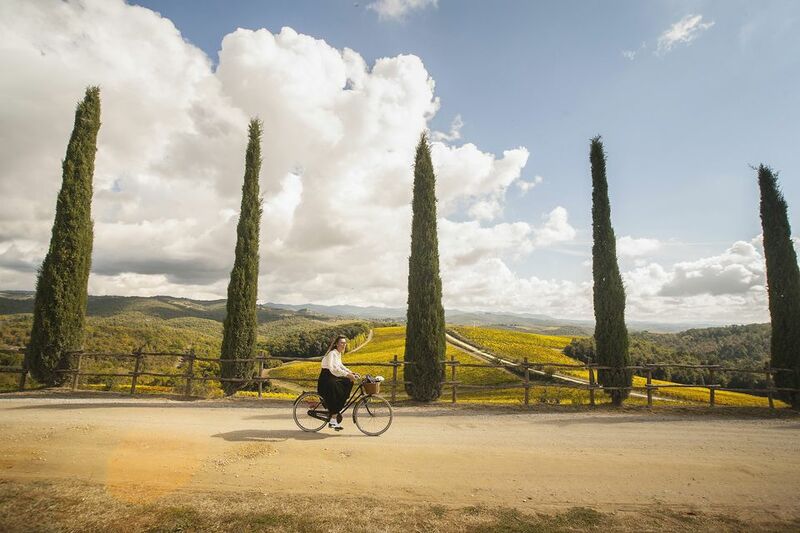 You can also take a bicycling tour with a group of cyclists; popular destinations include France, Italy, Ireland, and Vermont. What Happens at a Learn to Ride Class? Class lengths vary, but in a typical bicycling class you will learn to balance, steer and stop the bicycle, first without pedals and then with pedals. Your instructor will then teach you to glide, stop, turn, steer in a circle and perform a safety check on your bicycle. You will learn with other adults and, perhaps, with older teens, not with children. Expect your class to last from two to four hours. Do You Need to Have a Bicycle to Take a Class? You can often borrow or rent a bicycle to use in your cycling class. You can find out about rental costs when you register for the class. If you have a bicycle, be sure it is the right size for you. Yes, you do. Many class locations loan or rent helmets, but some require you to buy your own. Wearing a helmet when you cycle can save you from severe injury and even from death. What Do Learn to Ride Classes Cost? Prices vary. Many adult cycling classes are free. Some cost $60 to $90. Private lessons cost $40 to $60 per hour of instruction. When and How Should You Register for the Class? Register as far in advance as possible. Adult cycling classes are extremely popular. You can usually register online or by telephone. If you register and then find out that you cannot attend your class, be sure to call and cancel your registration so that someone on the waiting list can take your place. Visit or call a local bicycle shop and ask for information about adult cycling classes. You may be referred to a local or regional cycling association because most cycling classes are sponsored by these associations. The Atlanta Bicycle Coalition offers True Beginners cycling classes for adults. The four-hour class is free and is offered on two Saturdays. You must RSVP for the class. In Chicago, the League of American Bicyclists offers private First Time Bicycling Basics classes. These private lessons cost $60 per hour, but the League's website states that it usually takes only two or three hours to learn to ride. You will need to bring your own helmet. Lessons are not offered in winter. Bike New York offers Learn to Ride – Adults classes on weekends and evenings. The free, two-hour adult cycling classes are held indoors during the winter and outdoors in spring and summer. Loaner bicycles and helmets are available. More advanced classes are available, too, and they are also free. The San Francisco Bicycle Coalition offers free four-hour Adult Learn to Ride classes on weekends. You can rent a bicycle from City Ride Bike Rentals if you do not have one of your own. The Washington Area Bicyclist Association offers Learn to Ride and Confident City Cycling classes on Saturdays and Sundays at various locations. These classes last three hours and cost $85 to $90. Bicycle and helmet rental are included. Register early; the classes fill up extremely quickly.